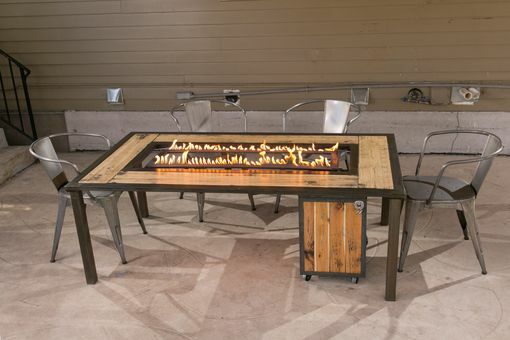 Add a unique piece of patio furniture to your backyard with the outdoor gas dining Fire Pit Table! 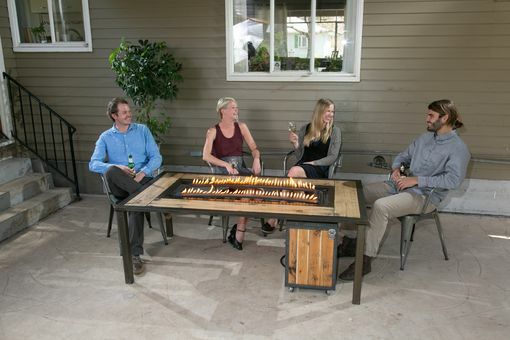 Our propane fueled fire table seats six guests comfortably and creates a very unique ambiance for entertaining. 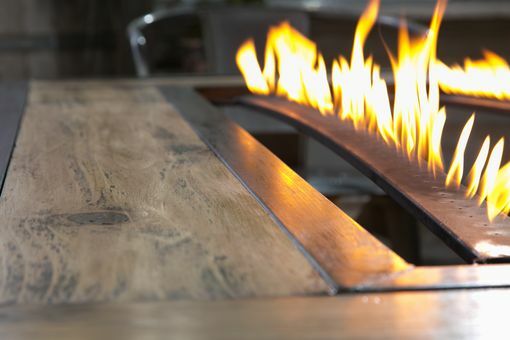 This sturdy table features stainless steel burners with a steel base and frame. 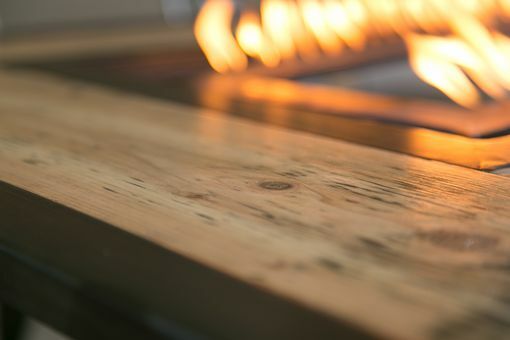 The tabletop is made from hand-selected cedar wood with a black undercoat for an aged appearance. We use a black patina and polyurethane protectant for better weather resistance. 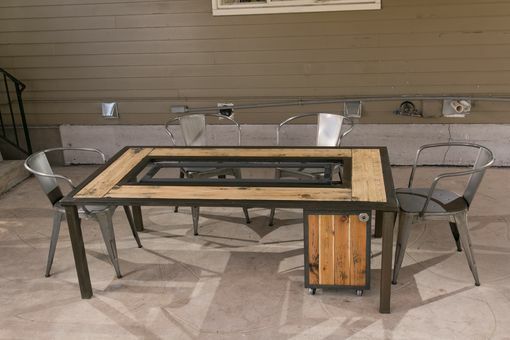 This outdoor focal piece is hand-crafted in Colorado and fabricated by local artisans. 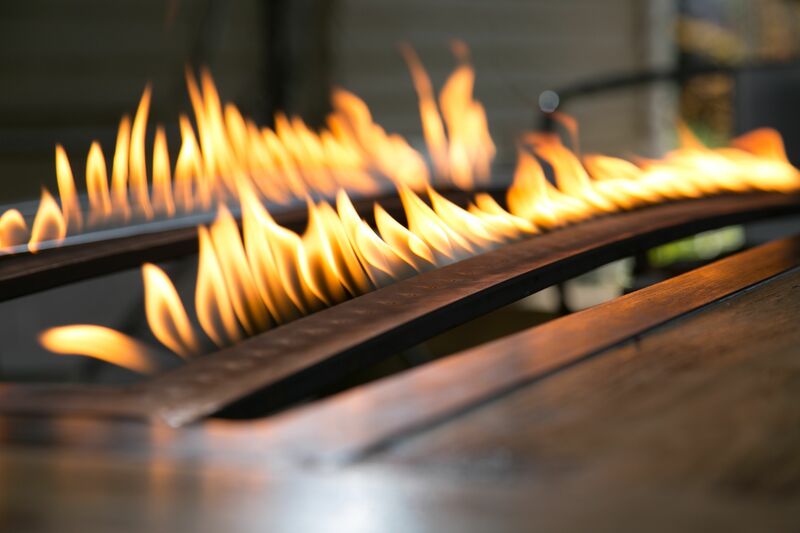 Our propane patio fire tables use a modern and minimalist design using wood and steel. Don't forget to check out the Korean BBQ Top to convert your firetable into a backyard Hibachi and our Propane Box to conceal those unsightly propane tanks.